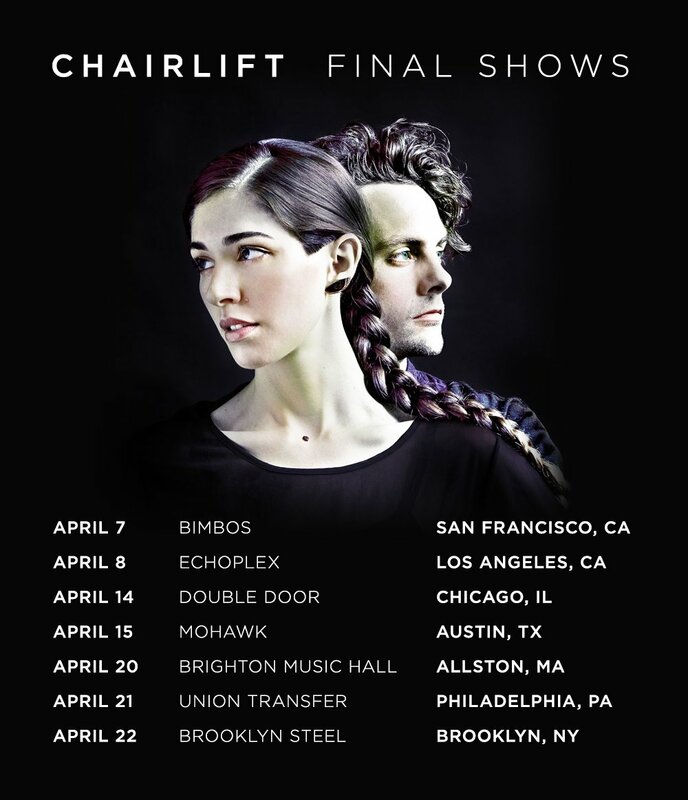 Following last month’s out-of-nowhere breakup announcement, hook-heavy synthpop duo Chairlift have unveiled their final slate of shows as band. 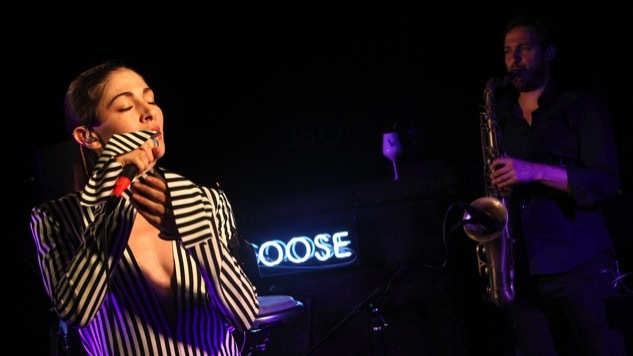 As previously reported, the band’s initial decision to split wasn’t spurred by any “ill-will” but by desires of both Caroline Polachek and Patrick Wimberly to pursue their own music careers. Tickets for the seven shows go on sale this Friday and the dates can be found below in both text and poster form. Beneath that, check out their excellent performance in the Paste office circa 2010 via the Paste Cloud.